GWGC record incorrectly shows his age as 42 years - IWCP - 19 October 1918 - KILLED IN ACTION ETC. - ORAM. - Oct. 8, at the Southern General Hospital, Portsmouth, Pte. 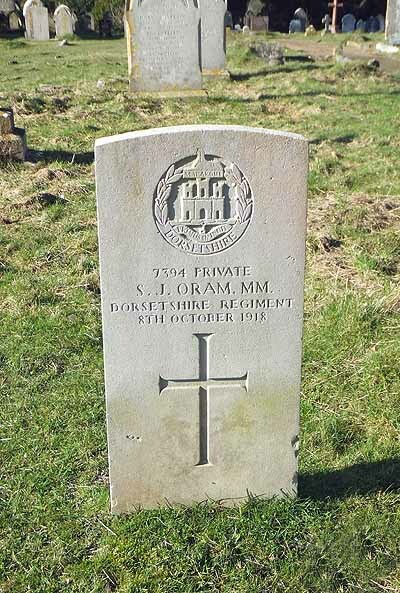 Samuel John Oram, Dorset Regiment, of 23 New-street, Newport, aged 34.